HomeF1Could Vettel still win the title? Could Vettel still win the title? At the time of writing, the Malaysian GP has finished. 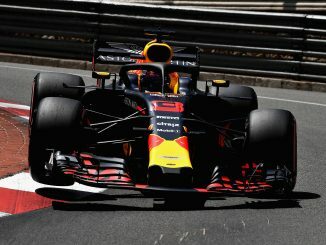 Max Verstappen has won the race – only his second victory, and Lewis Hamilton has extended his championship lead to 34 points, with 5 races remaining. The fallout from the post race incident between Williams youngster Lance Stroll and Sebastian Vettel has yet to settle, but the metaphorical aura is all too encompassing of Ferrari’s season. 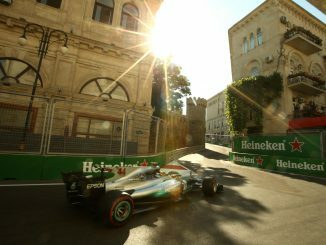 What other team could have the 2017 luck, or lack thereof; where they rescued a terrible Saturday to concoct a damage limitation plan, starting last on the grid to almost finish on the podium, followed up by destroying the car on the slow down lap – only for the driver to get back to the pits in a Sauber?! The likes of which have rarely; if ever, been seen in F1 history before. The next few hours and days will reveal if Ferrari have more repairs to do, and whether or not they will receive more grid penalties for their title fighting number one driver – or whether or not Seb himself will incur any penalties for removing his steering wheel and getting a lift with Pascal Wehrlein. Either way, the uphill climb that Sebastian Vettel thought he was facing when he crossed the line in Malaysia, now looks more like a hike up Mt. Fuji when he arrives in Japan on Thursday. But it most certainly is not over for the main man. On our podcast we like a bit of conjecture, and mathematically the possibility is very much still there. Last year I took a tongue in cheek look at how Lewis Hamilton could claw back a larger gap over Nico Rosberg; so shall we take a similar fantastical, but altogether trip through the final five races of this season? A classic circuit on the calendar, the only figure of eight and the home of Honda. Sector one comprises of a heavy braking zone and a snaking series of ‘S’ curves which test driver skill and engineers setup knowledge. This sector should favour Red Bull and Mclaren, with their stable chassis and decent aerodynamics. The second sector is long, and starts with an uphill climb, through some fast corners, downhill braking into an adverse camber hairpin, which means the track leans away from the way the driver wants to steer. Another climb up the hill and – if you get it right – a precise and fast sweeping left, the spoon curve. Then the third and final sector; over the blind crest of the rise, hold your breath as you drive flat out through the legendary left handed 130R before a third heavy braking zone into the final chicane and another hard acceleration down to the start line. All this should favour strong, powerful engines. Ferrari’s looked good with their upgrade in Malaysia, if perhaps a little unreliable. Mercedes should be there too; and aside from the first sector – Red Bull will likely fade away in the rest of the lap. Both Vettel and Hamilton have had previous success in Suzuka. Hamilton’s two victories (’07 was at Fuji,’14,’15) put in the shade by Sebastian Vettel’s four. (’09,’10,’12,’13) It looks like the battle in the turbo era is more likely to swing the way of Mercedes. However, bad luck has a way of randomly switching allegiances, or so it would seem. Malaysia 2016 – Hamilton’s engine blew up, which cost him the title. All Mercedes failures that year were Lewis Hamilton’s. This year, I don’t think there have been any Mercedes failures, at least not in the main team. They also brought an upgrade to Sepang, but it looks to have favoured the customer teams moreso than the works team. An engine failure will have to happen at some point, and of the grands prix that are left, no other circuit will put more of a strain on a power unit than Suzuka. So let’s say that Ferrari’s luck changes, Lewis Hamilton has an engine blowout and Sebastian Vettel wins the race, despite pressure from Valtteri Bottas. Lewis’ 34 point lead suddenly is chopped right down to 9 points, and it’s the turn of the Mercedes man to take some pain and some engine penalties at the next race in Austin. As two weeks pass before Austin, Mercedes arrive at the Circuit of the Americas a little nervous, and hoping they can re-build Hamilton’s championship lead. This tribute track undulates and twists, not too dissimilar to Suzuka, with a long long straight in the middle and a twisty last sector. Again, you’d expect the Mercedes and Ferrari teams to prevail but perhaps at this circuit, much like in Malaysia; Red Bull play a part. Red Bull take an unprecedented one-two finish, winning on strategy as well as outright lap pace, and even though they take the big points away from the title contenders, the Ferrari team work better as a duo and after forcing Hamilton out wide at Turn one, they get ahead at the start and block out Hamilton and Bottas from taking the podium, before a bit of controversial but completely legal team orders mean Sebastian takes third. As Lewis can only manage 5th, the gap is chopped to a measly 4 points, with Mexico, Brazil and Abu Dhabi remaining. In two races, the title has tipped the other way again. 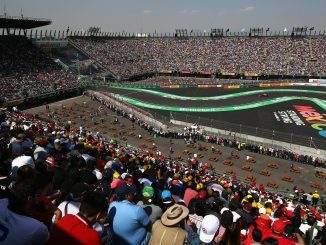 Mexico sees a different tone after the Earthquakes, Mercedes re-assert their position after a hard fought race, and even though Ferrari get close, Mercedes take a 1 – 2 finish with Bottas giving up victory to help Lewis. Mercedes drivers are booed in the baseball stadium. Brazil – it rains off and on, throughout the whole weekend, but again it’s Red Bull who spring a surprise and are faster than the rest. Mercedes’ Bottas and Hamilton are struggling in the race, as Ferrari set their car up for Sunday and sacrificed a little bit of pace on Saturday, the red cars are soon looking to pass the silver ones in the middle stages of the race. Vettel breezes past, but Raikkonen gets stuck behind Bottas. As Hamilton defends vigourously from Vettel a concertina crash ensues, Bottas runs in to Vettel, who in turn hits Hamilton and punctures Lewis’ rear tyre. The Englishman struggles to make it back to the pits and Vettel needs a new nose cone. Both finish low in the points, Vettel knocking just a couple more off Hamilton in the standings, meaning they go to Abu Dhabi with Hamilton leading by 12 points. Abu Dhabi sees the eyes of the world on Yas Marina for a finale showdown; again. 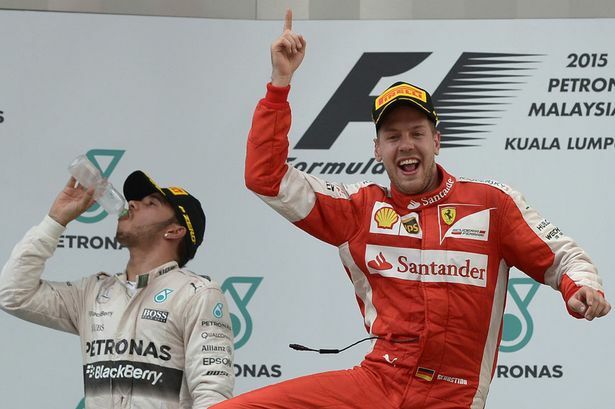 All weekend Hamilton’s pace is superior to Vettel’s, but Seb looks far more relaxed than Lewis. When it comes to lights out, the two line up alongside each other, and after a shaky start they go in to Turn one alongside each other and bang wheels. This forces Hamilton wide and down to 6th. If it were to finish after lap one, they’d be level on points. Throughout the race, Hamilton fights back but after a pit stop he makes a silly move on Esteban Ocon, damages his wing and has to pit again. Vettel controls the pace out front. Daniel Ricciardo looks to spoil the party by threatening for a while, but he can’t stay within DRS range. Hamilton’s unscheduled stop for a nose puts him down to eighth, but then the stewards slap a drive through penalty on him for causing a collision. After this is served, the Englishman must battle back from 12th with only a third of the race to go. Hamilton passes car after car, pumping in fastest lap after fastest lap, but he has 30 seconds to make up to get back to a title winning position. In the final laps, one last Mclaren Honda breakdown gives Lewis hope – his old adversary Fernando Alonso has broken down and hasn’t got near a marshal’s station. Is there a Safety Car? There is, but it’s only a Virtual Safety Car. Lewis has a meltdown at Charlie on the radio. The restart gives us a 6 lap sprint finish for the title. Ricciardo pressures Vettel again, but most eyes are on Hamilton. Three places away from a fourth World Championship. It becomes apparent that as the field breaks away, Hamilton will not have a chance to catch and pass enough cars. The race finishes, and Vettel is World Champion by 2 points. Arrivabene is made a living Patron Saint of Italy, and for the first time in years, Hamilton becomes reclusive as he tries to work out how he lost a lead that seemed almost untouchable just a few weeks earlier.